All webinars will be from 12:00 p.m. – 1:00 p.m. Complete Streets policies have been gaining traction as more communities realize the benefits of having safe, accessible, and healthy streets. Over 1400 Complete Streets policies have been passed at the local, regional, and state levels across the country – including small and medium-sized municipalities in Pennsylvania. 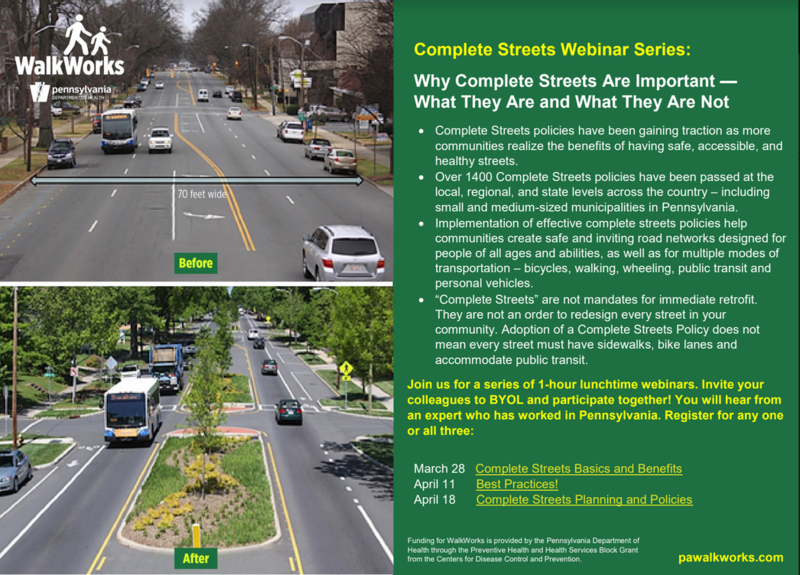 Implementation of effective complete streets policies help communities create safe and inviting road networks designed for people of all ages and abilities, as well as for multiple modes of transportation – bicycles, walking, wheeling, public transit and personal vehicles. “Complete Streets” are not mandates for immediate retrofit. They are not an order to redesign every street in your community. Adoption of a Complete Streets Policy does not mean every street must have sidewalks, bike lanes and accommodate public transit. 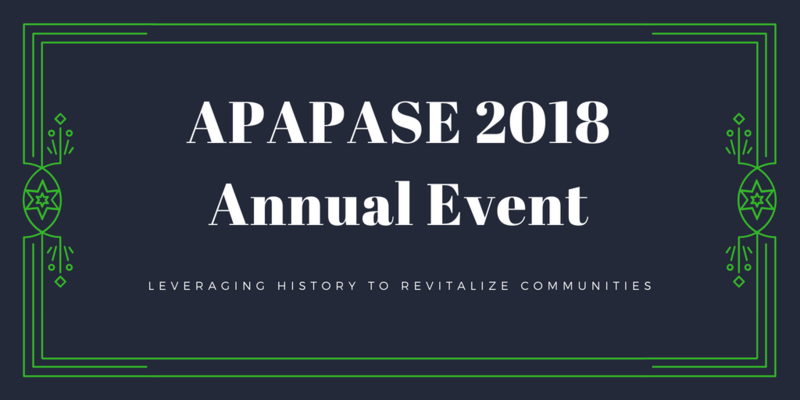 APAPASE Annual Event: Leveraging History to Revitalize Communities – Tickets Now on Sale for September 12, 2018! August 15, 2018 / APAPA-SE / Comments Off on APAPASE Annual Event: Leveraging History to Revitalize Communities – Tickets Now on Sale for September 12, 2018! Join planners, historic preservationists, urban enthusiasts, and more as APAPASE hosts our largest event of the year. The evening kicks off with an optional one-hour walking tour of downtown Lansdowne, for those who can make it to Lansdowne by 5:30 PM. The tour will highlight how Lansdowne is using its historical character to create economic development opportunities. Then we’ll enjoy some networking over light fare and drinks. At 7pm, there will be a panel about Leveraging History to Revitalize Communities, which will be worth 1.25 AICP CM credits. Stay after the panel concludes to mix and mingle with your fellow attendees. 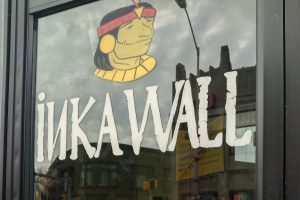 Transit: The Twentieth Century Club, 84 South Lansdowne Avenue, is across the street from SEPTA’s Lansdowne Regional Rail Station on the Media-Elwyn Line. View schedule here. There is also bus transit access via routes 109, 113, and 115 routes to 69th Street Terminal or other locations in Delaware County. 5:30 – 6:30 PM: Tour of Downtown Lansdowne (select the “optional add on” ticket type when you register) The tour kicks off at Utility Works, 32 E. Baltimore Ave., which is a short walk from the SEPTA Lansdowne Station. Queer Urbanist Exchange (QUE) is invites you to join our monthly meet up at Prohibition Taproom at 501 N. 13th Street, Philadelphia at 5:30 pm on Tuesday, March 20. We are going to run out to check out the Reading Viaduct Rail Park at some point (or maybe in shifts). Can’t make it? Select your availability in April at https://doodle.com/poll/94wzdrk5nbq5stmb. Queer Urbanist Exchange (QUE) is invites you to join our monthly meet up at Tavern at 243 S. Camac St. (Downstairs at Tavern on Camac) at 8:00 pm on Monday, February 26. Note we will be starting later than usual and meeting downstairs to join long time (maybe founding?) member Simone Allender for Quizzo at 8:30 pm, so stay for a drink or bring your trivia knowledge. It was really popular in December and one of our teams won. We’re going to do brief updates on our projects before quizzo starts (around 8:15). Please come with ideas of things you’d like to see the group participate in. If you’re interested in seeing more, check out our Meeting Notes from our past meetings. Queer Urbanist Exchange (QUE) is invites you to join our monthly meet up at the newest bar in the gayborhood Bar X at 255 S. Camac St. at 5:30 pm. It is a chance to check out this new venue while networking with built environment professionals and enthusiasts at different locations around the city. Help Celebrate National Community Planning Month in October! The achievements of planning are celebrated in October with National Community Planning Month. This year’s theme is innovation in planning, underscoring the role of planning in addressing and adapting to the challenges facing communities in the 21st century. With less than 30 days until the official kickoff of our national observance, we want to know – how are you educating others about the value of planning this October? Use the resources in our Planning Month Resource HUB to share with your community, elected officials, and local media the positive impact planning has had on your community. Planning a community tour, meeting, or special event to mark the occasion? Let us know at admin@apapase.org. We’d love to highlight your efforts on our website and social media outlets during the month of October and beyond! 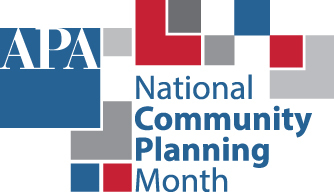 Learn more about National Community Planning Month at www.planning.org/ncpm. IALD, AIA, IIDA, DVASE, APAPASE, IFDA, AIGA, PA-DE ASLA, IDSA, APT, ASCE… whew! What do they all mean? Let’s break design discipline silos. 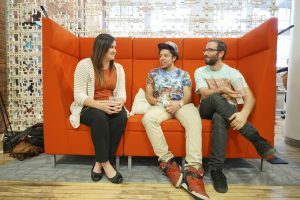 Design Philadelphia is bringing together different design associations in a free event to help make the infrastructure of the design community stronger in Philly by collaborating. Come out and meet designers across Philadelphia over drinks and snacks. Chit chat, share ideas, and hear short lightning speed presentations from local representatives of American Institute of Architects (AIA), Delaware Valley Association of Structural Engineers (DVASE), Pennsylvania-Delaware American Society of Landscape Architects (ASLA), Association for Preservation Technology (APT), Industrial Design Society of America (IDSA), The International Furnishings and Design Association (IFDA), International Association of Lighting Designers (IALD), American Institute of Graphic Arts (AIGA), International Interior Design Association (IIDA), and yes us, the American Planning Association, Pennsylvania Chapter, Southeast Section (APAPASE)! Who’s who, what are they building, and where are they now? 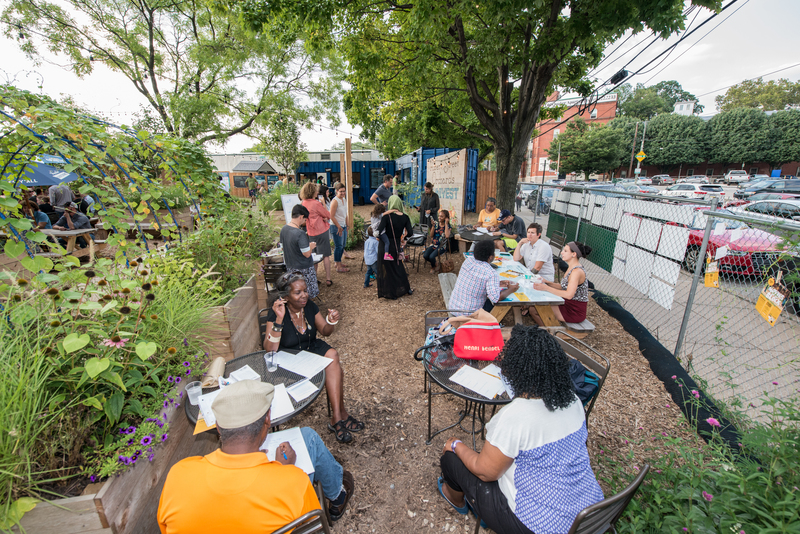 On September 13th, PlanPhilly kicks it some of the folks who have been working on transforming urban spaces in Philadelphia for decades. For the 9th year in a row, Philadelphia will celebrate PARK(ing) Day. This year, PARK(ing) Day falls on Friday, September 16, 2016. PARK(ing) Day is a worldwide annual event that started in San Francisco in 2005, when people transformed metered parking spaces into temporary public parks. The event raises awareness about the need for more pedestrian-friendly spaces in urban areas—in small 170 square foot spaces all across the world. A variety of non-profit institutions, community development organizations, academic institutions, and private companies—including many planning agencies and companies—participate in setting up these colorful, temporary parks. To view a map of where Philadelphia spots are, visit http://www.parkingdayphila.org/interactivemap. 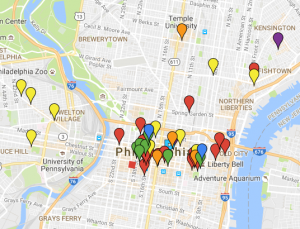 There are over 36 spots in Center City alone. To learn more about the event, visithttp://www.parkingdayphila.org/ or visit the global Park(ing) Day website at http://parkingday.org/. You can also follow along on Twitter at @parkingdayphila.